Conneaut Ohio Real Estate is our expertise. 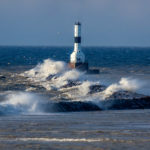 Looking to move to Conneaut, Ohio ? Interested in Selling Your Home? Our list of local, licensed real estate professionals would be glad to assist you will all of your real estate needs. From relocation to investment properties – find a local Conneaut realtor. This page is currently available for exclusive sponsorship. If you are a realtor serving Conneaut, Ohio and are looking to expand your business consider promoting your services on our site.